In 2013, as a toddler convert to Eastern Orthodoxy, I saw an ugliness that I was trying hard to ignore as the reality of a “soft schism” between Hellenic and Slavic worlds settled into our daily lives in China, at the fringe of the Christian world. Both the Ecumenical Patriarchate and the Moscow Patriarchate claimed China as their own, and neither one would give in to the other, concelebrate with one another, or recognize the mere presence of the other, revealing the deep division that was already solidly in place by the time I came onto the scene. I wanted Eastern Orthodoxy to be the answer for Western apostasy, to be an easy alternative to the hard process of rebuilding faithfulness and piety one generation at a time, through persecution and marginalization over many centuries. The understanding that communion could exist on paper for apologetic reasons and not in reality was deeply devistating. It was an extremely difficult time, and one that helped me understand the importance of the Anglocatholic theological inheritance, even though I had gone straight from being a lifetime Baptist to converting to Eastern Orthodoxy, and had no love for Anglicanism beforehand. I wrote extensively during this time, writing much of the deeper material that I have posted on this blog, as a way to work myself through the cognitive dissonance. Here were two churches that claimed to be the “one, true church,” and within them, there were factions that said that other weren’t really a part of that church - secretly, even if canonically compliant, ideologically and morally compromised. Trying to wade through these claims, as someone without a “horse in the race” and coming from the outside, I was overwhelmed with how much of the debate was about political loyalties, cultural affinities, and the assumption that something is good or right just because it reflects “our” identity or because it is familiar or resembles “us.” The strangeness, newness and liberating qualities of the Ancient Church in opposition to the Roman Empire was nowhere to be found, and in its place was a loyalty to a Romanitas that mistook the Roman Ecumene for the Kingdom of God. ...Let that be deemed a proper Eucharist, which is [administered] either by the bishop, or by one to whom he has entrusted it. Wherever the bishop shall appear, there let the multitude [of the people] also be; even as, wherever Jesus Christ is, there is the Catholic Church. I am a priest in the Orthodox Anglican Church. Our Presiding Bishop, who "entrusted" me with the preaching of the Word and the confecting of the Sacrament, stands squarely in the succession from the apostles. The protestations of Roman Catholic and Orthodox apologists don't matter: we are the Catholic Church per the defintion of St. Ignatius, and of the two kinds of apologetes, the Orthodox ones should have a clue as to what I'm talking about, because our ecclesiology is essentially the same as theirs. Are you finally done with your fallen institutional churches, my Roman Catholic and Orthodox friends? Are you ready to drain the swamp? If so, start talking to us miniscule Anglican Continuers. Whether you want to believe it or not, we may very well be the ones pointing the way back to Catholic authenticity. Your move. in Anglican Orders, Anglo-Catholicism, Continuing Anglicanism, Death of the Anglican Communion, Eastern Orthodoxy, Orthodox Anglican Church, Roman Catholicism, The Orthodox Anglican Communion, Traditional Anglicanism, Why Anglicanism? Let's go to the continuum where a Baptist can become a bishop via the Eastern Orthodox in a scant 5 years. Why the snark, Ken? First, Bishop Boyd is obviously no longer a Baptist. Second, he's one of the brightest lights around in the Continuum. Third, consider where he serves and the appropriateness of local episcopal oversight there. And fourth, his background in Eastern Orthodoxy is a plus for us, given the activism in Orthodox ranks to pick off sheep and clergy from our ranks. Bishop Boyd may be a great guy for all I know. Baptist to bishop in five years doesn't give me much faith in the continuing churches. The HCC-AR current ordinary is Bp. Micheal, a former RC priest, who decided to split the UECNA after being made a bishop of that organization. Meh. Guess it's just me more that anything else. I say continuing Anglicans fix their own house before pointing fingers. Ken, I'm a friend of Bishop Leo Michael and am familiar with the episode to which you refer. 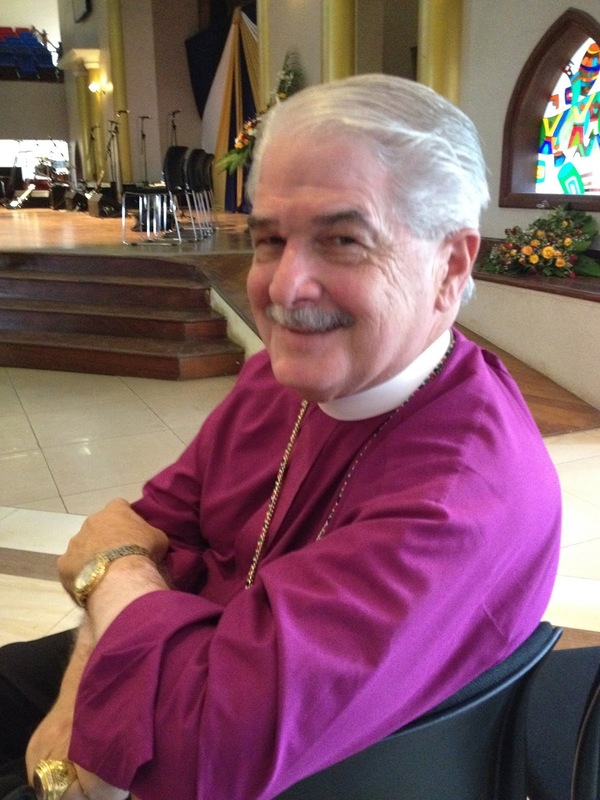 To say that Bishop Michael "decided to split the UECNA" is a gross misstatement. As I recall, the only parish he took from the UECNA to HCCAR was St. Gabriel's in Springdale, AR, which several months later left HCCAR for ACNA, so it seems clear that he inflicted no lasting damage on UECNA. Bishop Boyd is a great guy, actually, and I don't think his hasty elevation to the episcopacy is without precedent. I suggest you friend him on Facebook and follow his blog so that you can give him a chance to change your mind. I do agree with you that Continuing Anglicans focus on fixing their own house, but I don't think that rules out criticism of Rome or Orthodoxy when it's due. After all, both of them would love to destroy our house if they could.